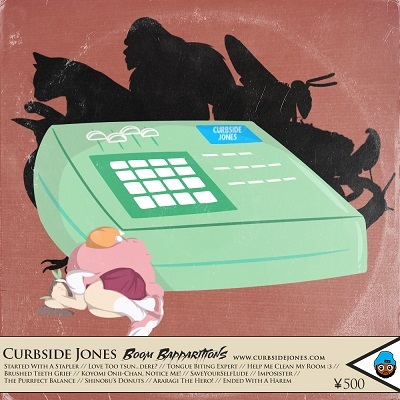 Texas producer Curbside Jones draws inspiration from the world of Anime and the sounds of 9th Wonder / Dilla etc on this expertly-crafted instrumental project. New Joint – DMC / PMD / MC Serch / Chuck D etc. Producer Big K.O. resurrects the title track of Run-DMC’s classic 1986 album for this golden-era posse cut. The California-raised wordsmith drops some edutainment on this soulful head-nodder. The London lyricist takes a walk through his local stomping grounds in this Jimmy Chiba-directed clip. Traditional Britcore styles from UK emcees The Remarkable 1 and One Native Son. 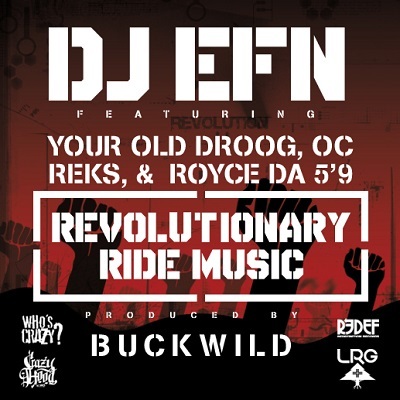 New Joint – DJ EFN / Your Old Droog / OC etc. Miami mixtape vet DJ EFN unleashes the second leak from his forthcoming album “Another Time” in the form of this Buckwild-produced posse cut. The UK collective call for positive change on this single recorded to raise money for the Homeless Reach project.